Where can Asiana crash victims file lawsuits? South Korean airline. American airport. Passengers from multiple countries, including the United States and China. Saturday's crash of an Asiana Airlines jetliner in San Francisco is sure to draw lawsuits. But where those cases will play out remains unclear. And the location of the lawsuits could help determine how much victims are paid. The compensation of victims of international airline accidents is dictated by a 1999 treaty called the Montreal Convention. The treaty specifies a handful of locations where a claim can be filed. Among them are the airline's principal place of business, where a passenger's ticket was purchased, the passenger's "principal and permanent" residence and the passenger's ultimate destination. Several aviation law experts say U.S. courts are typically more generous with financial compensation for victims and their families. Even if cases are settled out of court, which experts say is likely, awards could be larger there. "Two people with identical injuries can have vastly different awards if the case is pending in San Francisco or if it's being brought in China," said James Kreindler, a New York-based attorney specializing in aviation accidents, who recently represented families of nearly 20 victims of the fatal 2009 Colgan Air crash in Buffalo, N.Y. Under the treaty, injured passengers are always able to seek damages for medical bills, lost wages and pain and suffering of up to around $150,000. On top of that, injured passengers are able to seek unlimited damages -- unless the airline can prove that it took all necessary measures to prevent the crash. "That would be extraordinarily difficult for the airline to prove it wasn't negligent at all," said Joel Faxon, a Connecticut-based trial lawyer who represented the family of one of the victims of the 2009 Colgan Air crash. The treaty's "destination" provision is expected to be a sticking point for many of the victims since the majority of the flight's passengers were not U.S. residents. Foreign citizens who had bought round-trip tickets will likely have a hard time suing in the U.S. since it was not their final destination, Kreindler said. "It is not simply the case that everyone can sue in the United States because the accident happened here," Kreindler said. 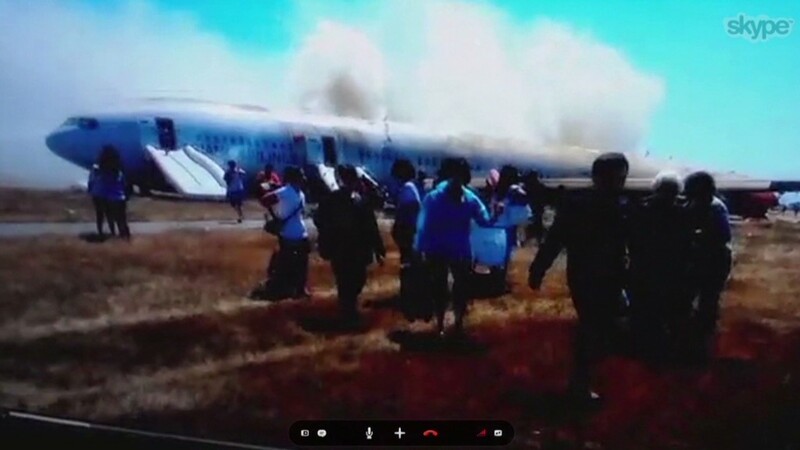 According to an Asiana press release, the plane's 291 passengers included 141 Chinese citizens, 77 Korean citizens, 61 U.S. citizens and one Japanese citizen. In a statement, Asiana said it "feels strongly responsible to all those affected by the incident" and "will continue to exert great effort in providing assistance and on the ongoing investigation."